2° BORELLO FILIPPO (G.S. 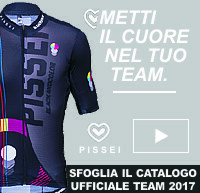 CICLI FIORIN CYCLING TEAM ASD) a 10"
10° RICCIARDI NICOLO' (TEAM NONESE CYCLING A.S.D.) a 15"